When I first heard of the Great Himalayan National Park a few years ago, the sheer name sounded too exhilarating to resist. Discussions were going on to declare it as an UNESCO World Heritage Site around the same time. But exploring the area was not easy. Information was scarce and many practical aspects were not addressed to in the otherwise excellent official GHNP website. My initial forays in 2013 were mostly failures. I did not exactly know where to go and most easily reachable places were too expensive. After that I kept returning to other areas of Himachal Pradesh but GHNP remained elusive. But in recent times I have finally I have made a couple of useful trips to the region and although there is much more to be explored, I think I have gained enough knowledge to write this GHNP Do-It-Yourself guide that I originally planned way back in 2013. Since the Jalori Pass and Jibhi area is adjacent to it and can be visited during the same trip, I am also including it in the same post. What is the GHNP Ecozone? Is GHNP the same as Tirthan Valley? How to reach the Great Himalayan National Park? Where to get buses for GHNP? 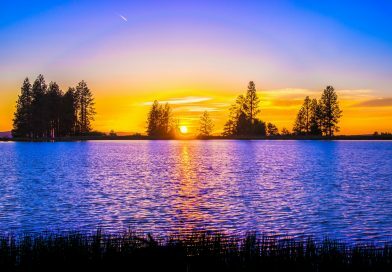 What to see and do in GHNP? What are the small day treks in GHNP? What are the long treks in GHNP? Where to get permits for GHNP? Where to find guides for treks around GHNP? Does one need permits for GHNP ecozone? Accommodations in Great Himalayan National Park? What is the best season to visit GHNP? What should be the ideal budget for GHNP? How many days does it take to explore GHNP? How is the phone and internet data connectivity in GHNP? Should I carry my Old Monk? Should one visit Jalori Pass along with GHNP? 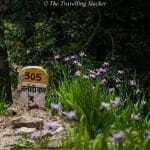 What to do at Jalori Pass? What else to see near GHNP? The Great Himalayan National Park is located in Kullu district of the state of Himachal Pradesh, India. It is surrounded by the Parvati Valley, the Seraj Region, and Spiti on different sides. It was declared a National Park in 1999, encompassing an area of 754.4 sq kms. It was declared an UNESCO World Heritage Site in 2014. In order to explain things clearly, I have made the following map. Do note that it is by no means completely accurate, comprehensive, or up to the scale, especially as far as the inner trek routes are concerned. But it should provide you enough idea about the directions and clear confusions. 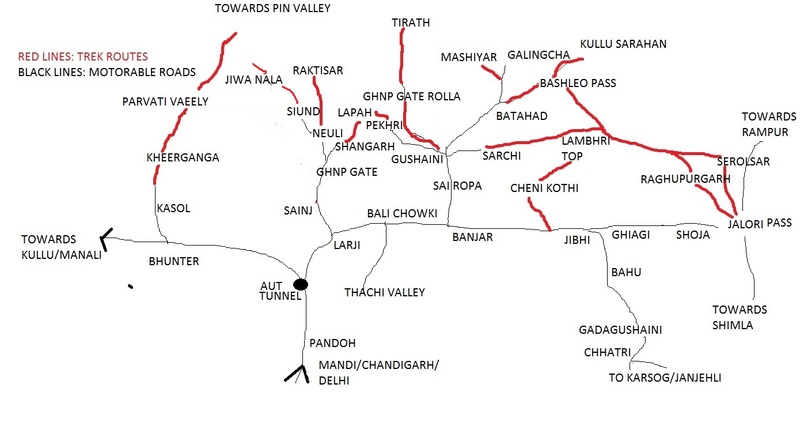 The back lines depict motorable roads and red lines depict trekking routes. Just like in most other national parks, the GHNP has an ecozone, which is an area inhabited by local people that surrounds the core jungle area of the park. There are around 160 small villages dotting the ecozone. Some of them are connected by roads now while some others still require a bit of trekking to reach. Most of them are delightful propositions in terms of views, as well as experience. Tirthan is a part of it. Two main valleys within GHNP are Tirthan and Sainj which are fed by rivers of the same names. The easily approachable areas of Tirthan Valley are more touristy. So, a lot of people might have “visited Tirthan” without realizing that it is a part of GHNP ecozone. Also, rest assured that there is much more to see beyond that in this region. 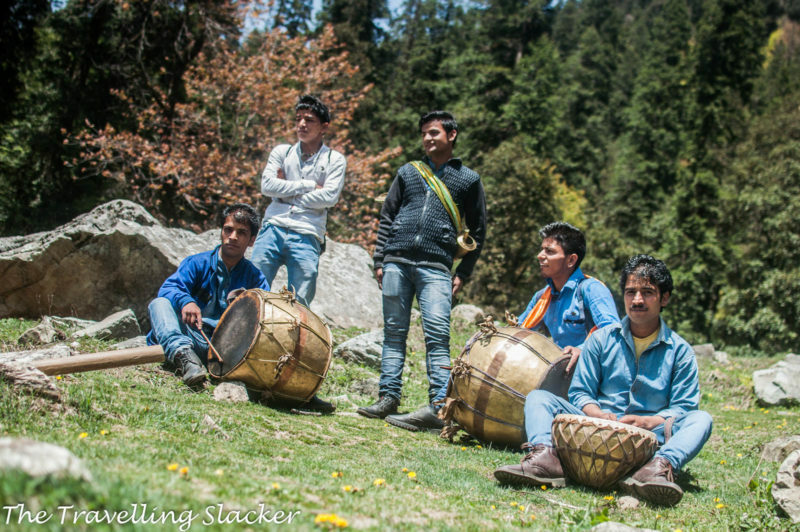 Read this post for more clarity on the Tirthan Valley. It is actually not that hard to reach the park. There are several points of interest within the park and multiple entry points that will be discussed later. 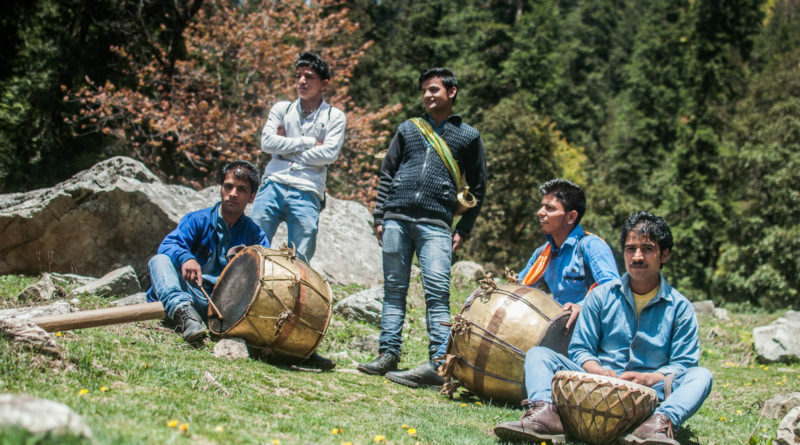 But for all of them, you first have to reach Aut Tunnel on the Delhi-Manali route or cross the Jalori Pass and reach Banjar if you are approaching it from Shimla. As mentioned already, you can have a great time simply exploring the ecozone villages. They all have their unique cultures and tradition of hospitality. There are ancient temples located against the backdrop of snowy peaks and boasting their own local myths and legends. If you are interested in local culture and traditions, you can keep returning here for years. I feel that the easily accessible Shangarh meadows are considered to be more picturesque than the famous Khajjiar meadows. Similarly, the ancient Pagoda Temples in Shanshar, and Ashapuri are worth a visit. Here is my post an Shungchul Mahadev of Shangarh. Here is an excellent post on some other temples in the Sainj-Shanshar region. There are also many small treks around the ecozone that should be enough to fulfill your adrenaline needs. On the other hand, the core zone of GHNP has many long, strenuous multi-day treks. 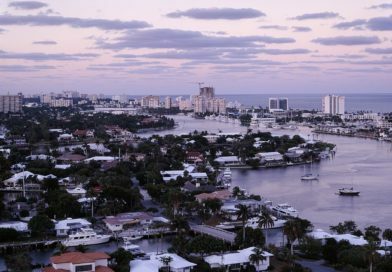 They will require special permits that you can get from Sai Ropa or Neuli. Also, you can’t do them without local guides and supplies. The details will be discussed in later sections. I am sure practically there are hundreds of options in the ecozone and many of them are yet to be unearthed and unexplored. From what I could figure out, here are the ones that are regularly being frequented nowadays. I have done some of them myself and those posts have been linked. Gushaini to GHNP Gate and Rolla: From Gushaini it is around 8 Kms to the official entry point of the GHNP. Views of the bluish green Tirthan river are great and you don’t need any permission for a day trek. Pekhri to Rangthar: You can get direct buses to Pekhri via Gushaini. It is a small village from where you can trek to the Rangthar top and beyond, depending on your stamina, resources, and time at hand. 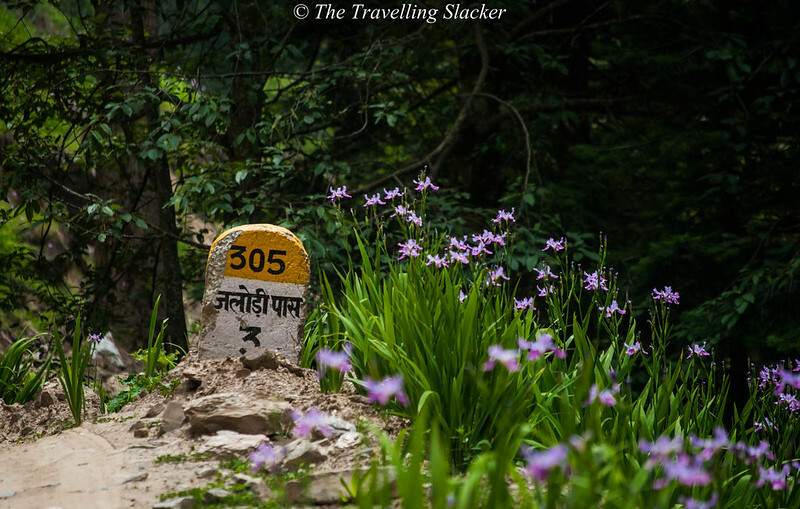 Bashleo Pass Trek: You can get direct buses to reach Batahad (Bathad) village via Gushaini. The 10 KM trek starts from the village. You can reach the pass and come back the same day or cross over to Kullu Sarahan on the other side. Sharchi to Lambhri Top: It is another trek that can be done in one or two days. I have not done it but have heard great things about it. There is a bridge just before reaching Gushaini. Go straight instead of taking the bridge to reach Sharchi. Bathad to Galingha and Mashiar: A motorable road now goes up to Galingcha from Batahad. But you can also take the old, steep, trek route, for a short hike with exhilerating views. On the other hand you can cross the Phalachan nala and trek to Mashiyar village. I have done none of the big ones but nevertheless here are the main routes. These cna take anything between 5-8 days and they tend to be strenuous in nature. You will need permissions from the authorities as well as local guides and equipment and supplies for camping. Tirath/Tirthan Valley Trek: This trek takes you to the source of Tirthan river which is called Tirath by locals. It starts from Gushaini and takes 6-7 days. 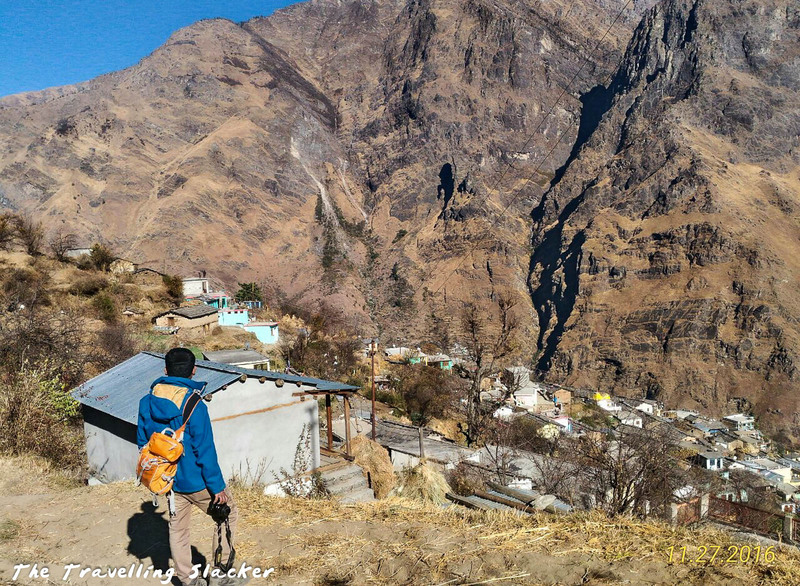 Sainj Valley- Raktisar Trek: This trek takes you to Raktisar, the source of Sainj River. It starts from Neuli and takes around a week. 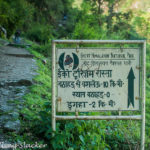 Tirthan to Sainj: You can also do a trek that crosses over from one valley to the other. Jiwa Nala Trek: Jiwa Nala is another river towards the west of Sainj. 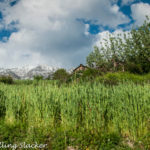 It is a tough one that starts from Siund village near Sainj and eventually you can enter Parvati Valley and after the trek you can proceed to score your weed. Additionally, parts of the Pin-Parvati Trek might pass through this area although that starts in Parvati Valley and ends in Spiti. Ecozone Treks: One can also have multi-day treks in the ecozone. For example, you can go further to inner villages such as Lapah from Shangarh or to Tinder from Gushaini. There are many other possibilities that you can figure out yourself once you get used to the place. The official GHNP website has some useful details about these routes. The permits can be secured at the office at Sai Ropa. 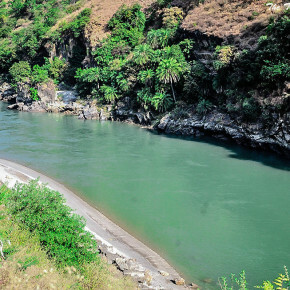 It is located between Banjar and Gushaini. You can ask about the guides at the office where you take permits. Otherwise, you can ask at the villages, wherever you stay. Locals should be able to come up with something. No. For the ecozone, you can directly go to the villages without bothering about permits. The permits are only for the core zone treks as there are no human settlements. Here is the tricky part. The Banjar-Sai-Ropa-Nagini-Gushani section has become easily accessible and too popular. 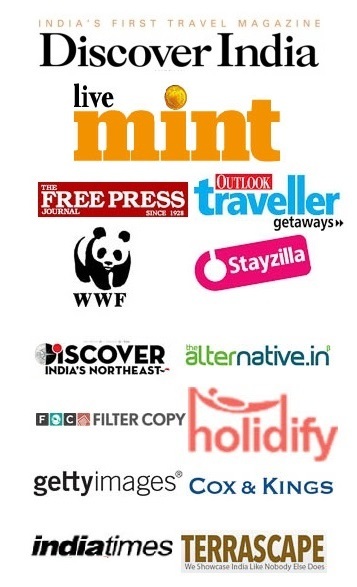 Certain properties here have also received attention from major travel magazines and channels. As a result, they have become exorbitantly priced and to be honest, I don’t like where they are going with this. As of now, Gushaini is a strict no-no for budget backpackers. But there are options beyond it. Also, the Sainj Valley is less commercialized than Tirthan. Also, the government owned Sai Ropa tourist center has an affordable dormitory but it can be full with trekkers during the season. Another tourist center is coming up in Sainj Valley, just before Neuli. Anyway, the good news is that the inner villages are now also opening homestays and yearning for more tourists. I have stayed in cozy homestays in Batahad and Shangarh with food for negligible amounts. While trekking to Rolla, I met a local from a village just near the gate. Even he claimed to have started a homestay. Of course they will also hike their prices with time but still I guess they will remain affordable compared to the big resorts around Gushaini. This is one of the newer entities in the region that has emerged in recent times. I think it is not exactly a part of GHNP but is nearby. I have yet to visit it but have heard good things about it. The road goes from Bali Chwoki (See the map). I have seen buses going directly to Thachi from Aut. I will update this part once I get more information. The longer treks I guess are difficult during winter. Similarly, the monsoon season can be too slippery. So, as it is with most parts of Indian Himalayas, the spring, summer, and autumn periods are perfect. Nevertheless, the ecozone villages remain accessible throughout and you can also have some great snow experiences in places that are connected by motorable road. As I have explained above, you can easily survive at INR 300-500 per day in the inner ecozone villages if you can avoid the ones around Gushaini. Many people even live here for long term nowadays. For longer treks, you will have to pay the guides and porters on a per day basis and that can be a bit expensive. As you might have guessed already, GHNP covers a huge area with a lot of attractions and treks. You can’t do all of them in one trip. For an initial trip, I suggest you just spend a few days in ecozone and do a few day treks listed above. Everything generally works till Gushaini in Tirthan or till Sainj in Sainj valley. My Airtel data also worked in Shangarh although it failed in Batahad. BSNL I guess works better in the inner villages. Not really, there should be alcohol shops in all the major settlements, if not the smaller villages. Yes, it can be easily done as it is an adjacent area. Jalori Pass is a low altitude pass (3100 metres) well connected via a motorable road (see map). It gets snowed out in the winter and I have seen it snowing as late as May, during a stormy day. It is a beautiful area and you can spend a day or two at any of the places en route, including Jibhi, Ghiagi, and Shoja. There are many homestays in these places at various price points. 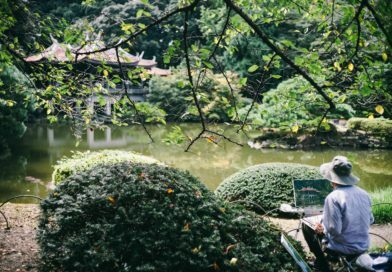 Budget travellers can also find decent options here. There is also camping facility in the meadows near Jalori Pass although I have never tried them. 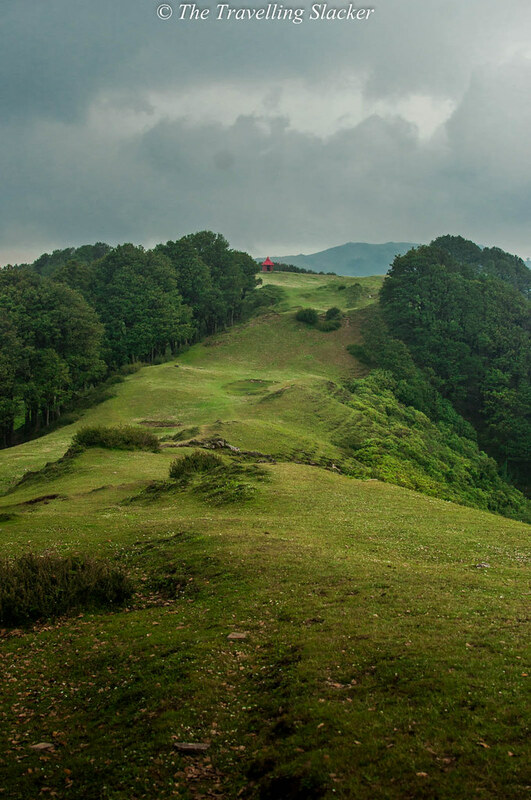 From Jalori Pass, two small trails go to Raghupurgarh (remnants of a small fort and nice high altitude meadows, 3 KMs), and Serolsar Lake (More of a small pond amidst jungles, 5 Kms). Even otherwise, this is a beautiful stretch. You can read about my walk from Shoja to Jalori or the hike to Serolsar. Also, here is another post in Cheni Kothi, an easy detour from Jibhi. If you still need more, you can try out the Bahu-Gadagushaini-Chhatri belt, which still remains unexplored and hence pristine, although the road leading to them is not in a very good shape. Check my Gadagushaini post. PS: If you have more queries or issues please leave a comment. I will try to update the post accordingly. Brilliant Stuff. Super exhaustive and equally helpful. I love this post. India is filled with so many places that are still off the beaten track. The scenery is so beautiful. However, I’m a bit curious about one thing. Did you notice any pollution from littering and other sources while you were there? What a beautiful place for a hike. The last photo reminds me quite a bit of Ireland, actually. The map makes it easier for visitors to find the park, as well. Very thorough review and overview of your experience. I don’t know when I will get to visit this national park, your pictures are a big comfort. The details provided are really helpful to plan a trip. And I am feeling this is doable. I hope tourists don’t spoil the magical beauty of the place. Well compiled post. Very helpful. WOW… thanks for such a details and descriptive post and love the photos. I still haven’t had a chance to really go hiking in India, and am planning my first one real soon, but this really looks doable and spectacular. I think the best part is that the area still looks natural without too much of a tourist rush or commercialization keeping it real. This is a super comprehensive post about GHNP and what to do there. I had no idea that the national park was now a UNESCO world heritage site and judging by the pics I can see why! We love our hiking so we will put this on our list for when we head up to northern India next year! Read it today at length . It’s so exhaustive. Amazyingly detailed. Inclusive of the old monk tip. :). This post is like a Bible. Thank you for this detailed piece on GHNP. I feel enriched because I did not know much about it except visiting a few places around Tirthan. I am not a trekker but I would love to the small treks and see some unexplored places for myself. Interesting post. Thanks for the all infors. Awesome pics. I know about this place but was not aware of its actual location and distances from other places . So I would say , it will really help to other travelers. Very helpful thanks for it and for the map. As you said Shangarh meadows is very beautiful. Can we go to selorsar trek (at morning) and reach shangarh by road on same day and then Spend whole night and in morining we will head towards kullu? You have not mention any treking duration to explore Shangarh meadows. I don’t have any prior expirence of trekking. Only went to Vaishnodevi Devi temple. Shangarh is not a trek. You just reach the village and then visit the meadow. Yes, you can visit it in one day if you have a vehicle at your disposal.